A general societal consensus seems to have emerged that the pace of daily life, at least in the US and other Western countries, is speeding up. However, there seems little empirical evidence to document its presence, let alone its increase. The present article reviews results from two questions on subjective-time pressure that have been asked periodically in US national probability surveys since 1965, and which were repeated in separate 2009 and 2010 surveys. Counter to the popular societal consensus on an increasingly time-pressured society noted above, respondent reports of feelings of being “always rushed” declined by 6–9 points from those reported in 2004. The decline was found both among employed and unemployed respondents, indicating it was not simply a function of higher unemployment. At the same time, feelings of being “very happy” also declined over this period, despite the finding that time-pressured people have consistently reported being less happy. 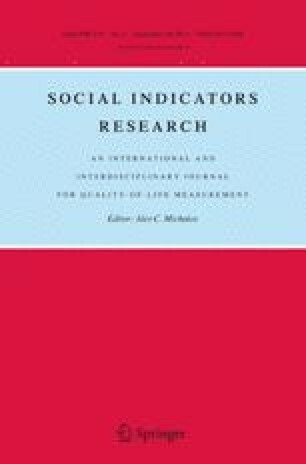 Moreover, more time-pressured people continued to report being less happy in these 2009–2010 surveys, even after controls for marital status, employment and other important predictors of happiness. Somewhat higher correlations with happiness were found for a related subjective-time question on having excess time on one’s hands. John P. Robinson is a professor of sociology at the University of Maryland, where he directs the Americans’ Use of Time Project. The research in this article was made possible by grant R24HD41041 from the National Institutes of Health and by the support of Prof. Sandra Hofferth of the Maryland Population Research Center and Prof. Paul Harwood formerly at the University of North Florida. This survey completed telephone interviews with 997 adult Americans. The survey was conducted by the Public Opinion Research Laboratory at the University of North Florida. The interviews, conducted in English and Spanish, were completed in October 2009. Analysis is weighted by Census Bureau data on age, education, income, marital status, employment status, race and region. The margin of error for the entire sample is ±3.0 %, with that margin of error being higher for cross tabulations. The telephone samples were provided by Genesys Sampling Systems at Marketing Systems Group. These samples were drawn using standard list-assisted random digit dialing (RDD) methodology. Interviews were conducted from November 5 through November 17, 2009. As many as 6 attempts were made to contact every sampled telephone number. The sample is released in replicates–representative subsamples of the larger sample. Respondent gender, age, race, education, and income were weighted to data from the Census. Responses “Do not know” and “Refused” were removed for analysis purposes. Table 5 below illustrates the disposition coding for all sampled callback telephone numbers ever dialed in this survey. American Time-Use Survey. (ATUS). (2112). http://www.bls.gov/atus www.bls.gov/atus.